Unless you work in the roof repair industry yourself, you probably think of the roof of your house as being indestructible. Every year, it is subject to snowstorms, summer thunderstorms with high winds, and in some cases, the Thanksgiving weekend ritual of able-bodied revelers climbing on it to hang Christmas lights in order to impress their shopaholic kin when they return from the Black Friday sales. We at South Bend Roof Repairs know that lots of problems with roofs can begin silently, and if you wait until they become too big to ignore, you can find yourself in possession of a hefty repair bill. That is why your friends at South Bend Roof Repairs strongly encourage you to schedule regular inspections and maintenance for your roof before it deteriorates so badly that you need to replace the entire roof. After all, no one wants to spend the money they have saved all year on a new roof when they could spend it on LED-lit elves and reindeer for the front lawn. Under ideal conditions, your roof can last for decades. It is possible that your house still has the roof it had when you moved in, in which case you might not even know how old your roof is or how badly in need of maintenance. If you have bought a new roof in the past, it probably came with a warranty, but if you read the fine print, you will probably find that it will only cover the cost of repairs if your roof has been properly maintained. For example, if some heavy Play Stations and bikes fall out of Santa’s sleigh as it passes overhead and damage your roof, you have to be able to prove that the damage was caused by falling Christmas gifts and not by your failure to keep the roof in good shape. You should have your roof inspected once per year, preferably in the fall. This is because the winter is when roof damage is most likely to occur, so if you notice a problem with your roof in the winter and you have had your roof inspected in the fall, you can be sure that the problem is new. The inspections we perform consist of a visual inspection and a moisture survey. 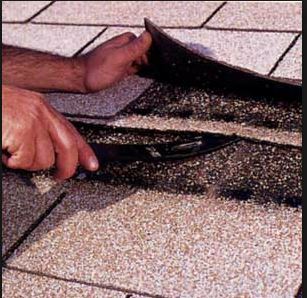 The visual inspection consists of looking for loose or missing shingles and other things that need repair. Since water seepage is one of the major causes of roof damage but is not immediately visible, we use infrared scan, nuclear isotopic meters, and electrical capacitance and resistance meters to determine the amount of moisture in your roof. If the amount of moisture in your roof is high, we recommend repairs to stop it from getting worse. Getting the moisture damage to your roof repaired before it gets really bad can save you a lot of money in the long term. At South Bend Roof Repairs, we are not here to try to talk you into costly repairs and renovations that are not really necessary, and you will never find surprise charges on your bill.